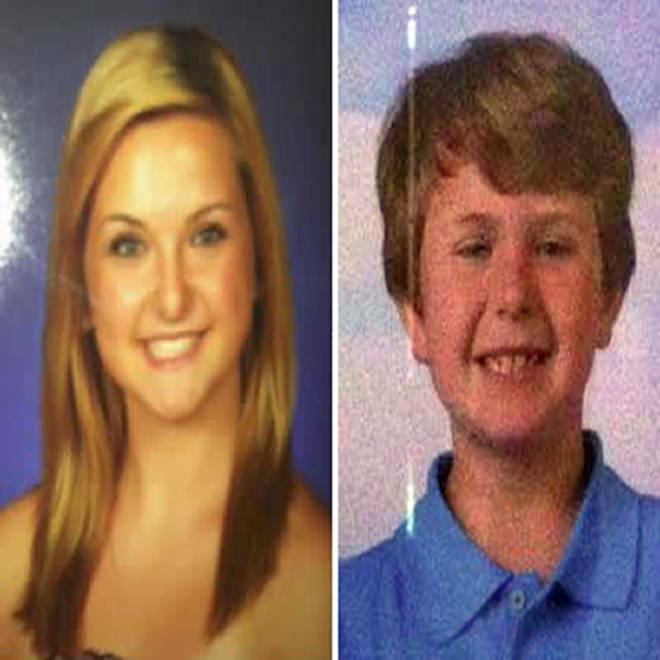 Hannah and Ethan Anderson were last seen on Saturday. Amber Alerts were issued in Oregon and Washington on Wednesday for two children who have been missing since their mother’s death after a suspected kidnapper’s vehicle was believed to have been spotted in Northern California. The alert said the suspect’s car, a blue 2012 Nissan Versa, was seen around 1:30 p.m. local time (4:30 p.m. ET) heading north near the Oregon border on Highway 395. It did not say whether suspect James Lee DiMaggio or either of the children was in the car. On Sunday, police discovered the burned remains of Christina Anderson, 44, in a log cabin-style home in Boulevard, California. Along with Anderson, police also found the body of a child who has yet to be identified, but authorities believe may be her 8-year-old son, Ethan. Officials have not revealed how the mother was killed. California authorities said the prime suspect is DiMaggio, 40, a family friend who owned the house that burned. They believe he kidnapped the 16-year-old girl, Hannah Anderson. The nationwide manhunt continues for James Lee DiMaggio, suspected kidnapper of 16-year-old Hannah Anderson and her 8-year-old brother Ethan after an Amber Alert was issued when their mother was found dead in a home that was destroyed by fire. NBC's Joe Fryer reports. On Tuesday, Anderson’s husband, Brett, pleaded for DiMaggio to release his daughter. “The damage is done. I’m begging you to let my daughter go, you’ve taken everything else,” Anderson said from a podium in front of the San Diego sheriff’s department. Anderson did not mention the return of his son, an indication that he may believe the child to be dead. NBC San Diego reported that a nationwide hunt was under way, amid fears DiMaggio could be heading to Texas or Canada. The FBI was participating in the investigation, The Associated Press reported. "Realistically we don’t know where they’re going, we’re keeping a wide net and hopefully we’ll find them. We’re looking everywhere,” Giannantonio said. Giannantonio said there has been no communication from DiMaggio, who is employed as a information technology worker, since he disappeared. A statewide amber alert was issued in California for the children on Monday, alerting motorists to be on the lookout for the car with California license plate 6WCU986. DiMaggio was a close friend of the family’s, and both Ethan and Hannah considered him an uncle, said San Diego homicide Lt. Glenn Giannantonio. 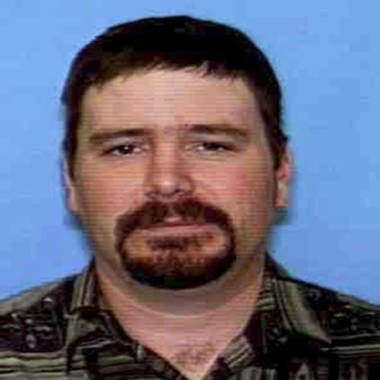 James Lee DiMaggio, 40, has been named as a suspect in the abduction of Hannah Anderson. Sheriff's officials told NBC San Diego that Christina Anderson had a “close platonic relationship” with DiMaggio. Neighbors told the station had he moved to the area five years ago from the city. A neighbor told The Associated Press that Christina and Brett Anderson had recently separated. Hannah is described as white, 5 feet 7 inches, 115 pounds, with blond hair, blue eyes, a belly-button ring, nose stud and pierced ears. She is a gymnast on her high school team. Ethan is described as white, 4 feet 11 inches, 65 pounds, with sandy blond hair, according to the Union Tribune. DiMaggio is described as white, 5 feet 9 inches, 150 pounds, with brown hair and brown eyes. He may have shaved off a mustache and beard, detectives told the paper. Anyone with information about this incident is asked to call the Homicide Detail at (858) 974-2321/after hours at (858) 565-5200 or Crime Stoppers at (888) 580-8477.